Training takes place on Tuesday evenings beginning in mid July until September at Coaster Harbor Yacht Club located on the Newport Naval Base. Athletes and Unified Partners train on Rhodes 19 Sailboats. A Regional Sailing Regatta is held annually in mid September with athletes attending from other states. Training for golf skills takes place at Buttonhole Short Course and Learning Center on Tuesday nights during the Summer Sports Season. Athletes are trained in 6 different golf skills: driving, iron shot, chipping, short put, long put and pitching. Four Hole Golf also takes place on Tuesday nights at Buttonhole Short Course and Learning Center. A Nine-hole unified Golf Short Course program takes place on Saturday mornings at Buttonhole. Athletes train and compete in league play beginning early July. A Nine-hole unified league also takes place on Sunday evenings during the Summer Sports Season at East Greenwich Country Club and Goddard Park. All athletes will be assessed for ability level at beginning of the golf season. The Annual State Golf Tournaments are held in mid September at Buttonhole Short Course & Learning Center and at East Greenwich Country Club. League play offered for athletes of all ability levels. Teams are assessed during league play for divisioning at the State Tournament held in August. 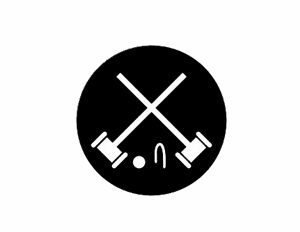 A variety of croquet from American, to International, Golf and Nine-Wicket.